Triton Coach Aubrey Curtis Wins Spring Meadow Triathlon! Aubrey getting props and feeling the post-race love in the transition area of the Spring Meadow Triathlon. 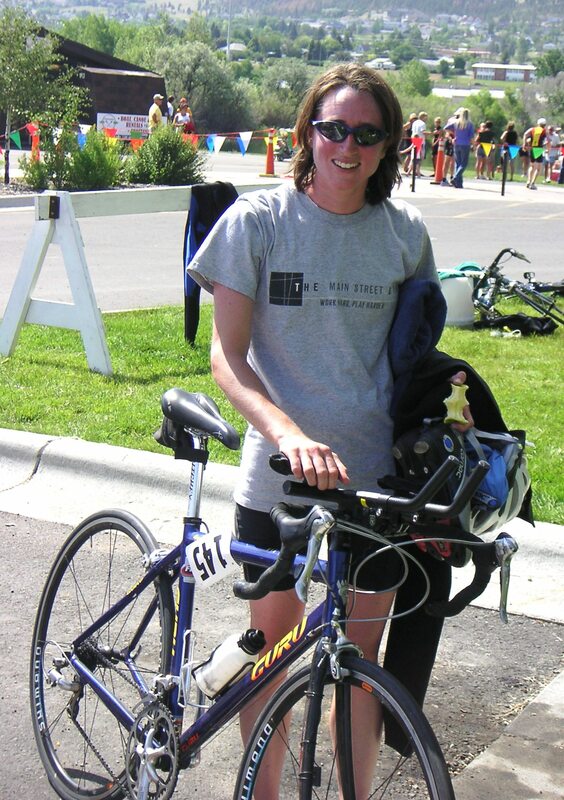 Triton Coach Aubrey Curtis finished first in the olympic distance Spring Meadow Triathlon yesterday. At a 5:55 pace, Aubrey blistered the run, passing eventual second place finisher Geoff L’Heureux for the win. His final time was 2:03:30. With a finish time of 2:19:42, teammate Mandy Axelson joined him on the podium, finishing #2 female overall. Congrats Aubrey and Mandy! Mandy’s totally happy with her second place overall female finish, and her triathlon racing improvements! 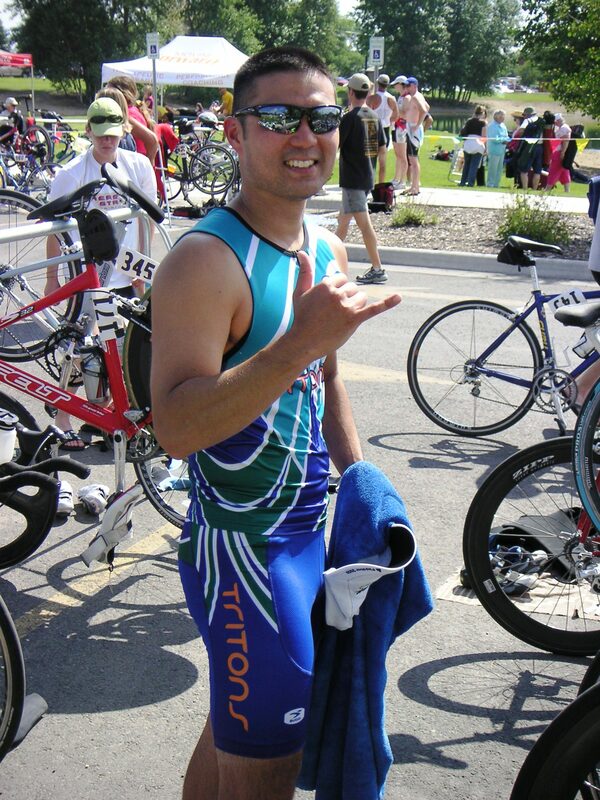 The olympic distance Spring Meadow Triathlon was a Special Qualifier for the 2009 USA Triathlon National Championships. Tritons Aubrey Curtis (1st in his age group), Mandy Axelson (1st), Art Thompson (2nd), Julie Zickovich (3rd), and Sherri Pearson (4th) qualified to compete in Tuscaloosa, Alabama on August 22nd. The top finishers in their age group at the National Championships will qualify for the ITU World Championship on August 29, 2010 in Budapest, Hungary. Triton Ryan Takeshita basks in the afterglow of his awesome PR. 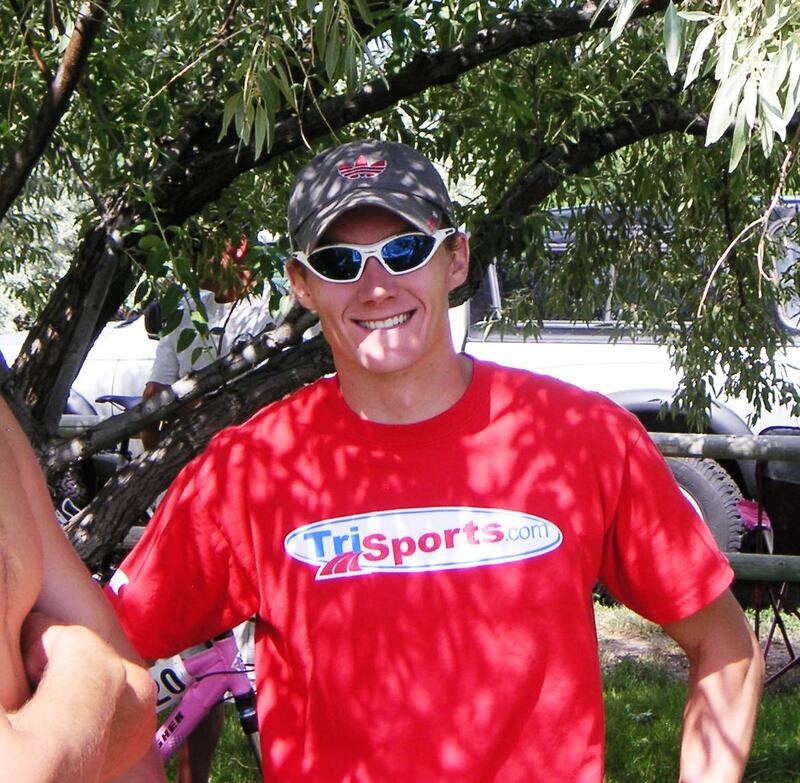 Here’s a vote for Ryan, as the Bozeman Triathlon Club’s most improved triathlete. In the sprint distance, Tritons Tom DeLuca and Katie Boyce finished first in their respective age groups. Additionally, Tom was the male overall master winner. This race was an official event on the USA Triathlon Pacific Northwest Region Club Championships circuit. With their 1st place finishes, Tom & Katie earned 25 points each for the Bozeman Triathlon Club. Congrats to Tom, Katie, and all Tritons for your terrific races today! 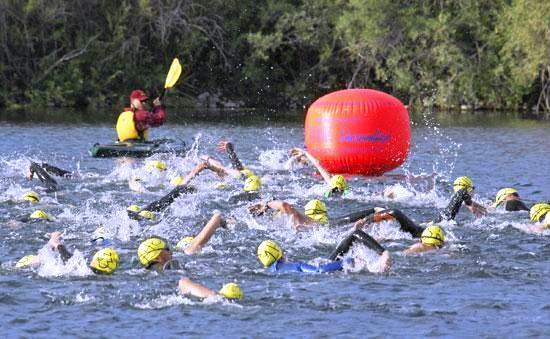 Competitors in the Olympic series triathlon event tackle the 1,500 meter swim in Spring Meadow Lake. The swim was followed by a 24.9-mile bike ride and a 6.2 mile run.